Take a close look at the Entenmann's logo sometime. You'll see a drawing of the same type of horse-drawn delivery wagon that William Entenmann drove back in 1898 in Brooklyn, New York, when he started his home-delivery baking service. The successful family business was passed on through the generations with little change in philosophy or goals. Then in 1951, the family realized the best way to reach the growing numbers of customers was by selling the products in New York-area supermarkets. The delivery business went retail, but the company was still a local New York-area business. All that changed in 1982, when General Foods purchased the company. Not only did distribution go national, but at the same time food scientists at General Foods were working hard to develop the first line of fresh-baked fat-free cakes and pastries. When those products hit store shelves in 1989, the fat-cutting fad was in its infancy, and Entenmann's was able to grab a big chunk of the market. Now you can sink your teeth into a big chunk of this home-made version of the popular cheese-filled crumb cake. 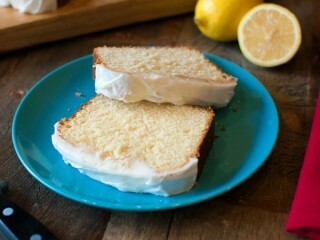 This clone recipe of the popular treat makes two cakes the same size as the original, by dividing a standard 9x13-inch pan in half with a large piece of aluminum foil. 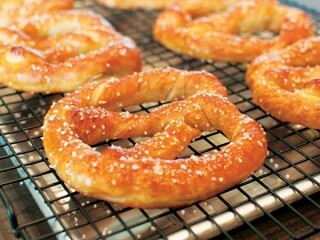 Here's a recipe that comes from a challenge issued by the New York Daily News. The paper wanted to watch a West Coast dude duplicate the taste of an authentic New York City knish. But, mind you, not just any knish. This knish comes from one of the oldest knisheries in the Big Apple, a place that also takes pride in the low fat content of its knishes as opposed to the popular deep-fried variety. When I tasted the famous Yonah Schimmel knish (the first knish I had ever eaten), I realized that not only could a good clone recipe be created, but even more fat grams could be eliminated. The Daily News had a food lab analyze the fat content of the original knish and the clone, as well as the fat in a street vendor knish and a supermarket knish, just for comparison. The lab results are listed following the recipe. 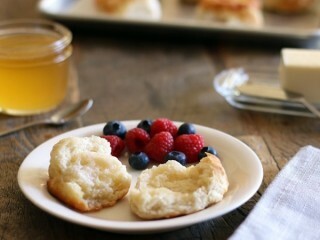 The website for Mimi’s Café features a recipe that claims to duplicate the buttermilk spice muffins that are so popular at the restaurant chain, but I found the recipe there to be slightly lacking. 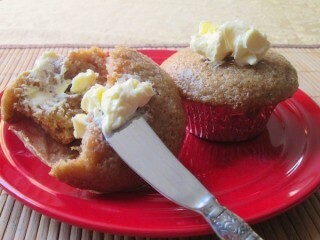 While the recipe produced very good muffins, I discovered the website formula required more sugar, more nutmeg and the addition of salt to produce muffins that could be considered clones of the popular version baked fresh every day in Mimi’s kitchens. 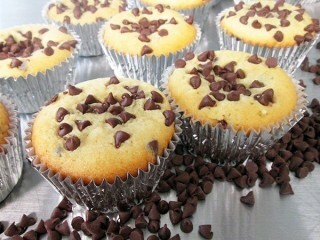 To make this recipe work best use a large (Texas-size) muffin pan and line each cup with large paper muffin cups. You could also make the muffins in a smaller, standard-size muffin pan by reducing the baking times by 5 to 10 minutes, and adding only 1 teaspoon of topping on the batter in each cup rather than the 2 teaspoons described here. 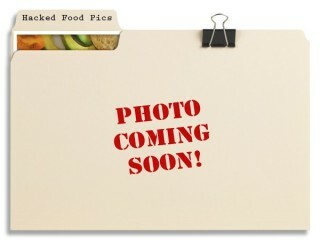 The American restaurant business has been shaped by many entrepreneurs, so determined to realize their dreams of owning a hot dog cart or starting a restaurant that they sell everything they own to raise cash. Food lore is littered with these stores, and this one is no exception. This time the family car was sold to pay for one month's rent on a converted World War II army tent, an oven, refrigerator, rolling pin, and some hand tools. It was 1948, and that's all Marie Callender and her family needed to make enough pies to start delivering to restaurants in Long Beach, California. It was the pies that started the company, but soon the bakeries became restaurants and they started serving meals. 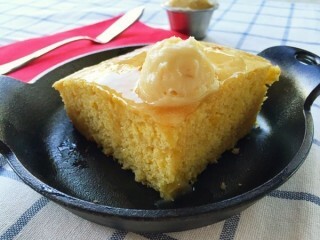 One of my favorites is the Famous Golden Cornbread and whipped honey butter that comes with many of the entrees. 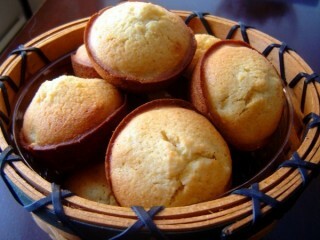 What makes this cornbread so scrumptious is its cake-like quality. The recipe here requires more flour than traditional cornbread recipes, making the finished product soft and spongy just like Marie's. In Los Angeles in 1957, Del Johnson noticed an article in the Wall Street Journal about a successful $1.09 per steak steakhouse chain with locations in New York, Chicago, and San Francisco. Inspired by the article, Del decided to open his own steakhouse in L.A., but with a twist that would save him money. His idea was to develop a steakhouse where customers would order their food at a food counter and pick it up when it was ready. Doesn't sound that exciting, but the concept was a hit. After the first Sizzler was open for a year, Del decided to run a two-day, one-cent anniversary sale: buy one steak at the regular price and get a second for just a penny. Del said, "We opened at 11:00. People were lined up from 11:00 until 9:00 at night, and we sold 1,050 steaks in one day and about 1,200 the second day." 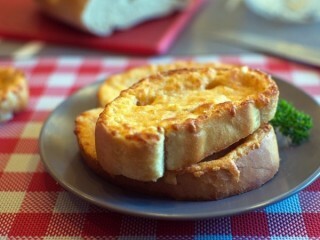 With every meal, Sizzler serves a slice of tasty cheese toast. 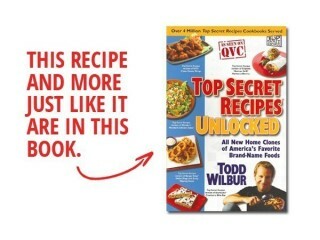 It's a simple hack recipe that goes well with just about any entree. Before there was Lone Star, Outback, or Ruth's Chris, a real rancher named Stuart Anderson was serving up huge cuts of delicious prime beef in his Seattle-based restaurant chain. The first Black Angus restaurant opened on April Fool's Day in 1964 and quickly became known for its huge, juicy cuts of prime rib. 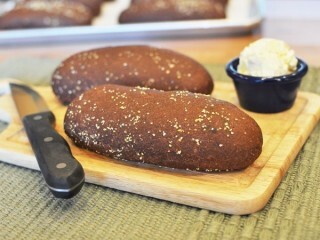 Early on, Stuart Anderson's Black Angus served a signature bread dubbed "Ranch Bread" free with each meal. 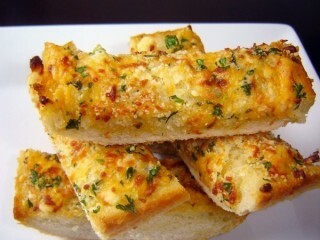 Around five years ago that evolved into Cheesy Garlic Bread, which is no longer free, but it is still a delicious and often requested side for any meal. Try to find a large loaf of French or Italian bread for this recipe. The recipe works with just about any type of bread loaf, but to make it more like the original, bigger is better. 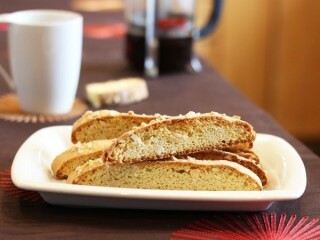 A good coffee house will have good coffee cake, and Starbucks is no exception. The world's biggest coffee chain offers cake that is moist and buttery, with a perfect cinnamon streusel crumb topping and a strip of cinnamon sugar through the middle. You may find slight variations of the cake at different Starbucks locations. 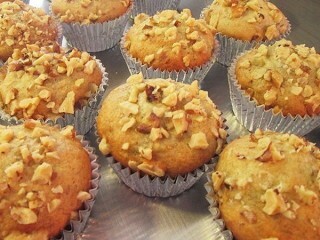 Sometimes the cake is topped with chopped pecans and some may be dusted on top with a little powdered sugar. The recipe below clones the basic recipe, and if you want nuts on top, mix 1/2 cup of chopped pecans into the streusel topping before adding it. Menu Description: "Fresh baked on premises, sliced into eight pieces, brushed with garlic butter, Parmesan cheese, mozzarella and basil, topped with chopped plum tomatoes and herbed olive oil." In 1988, London-born restaurant mogul Robert Ian Earl joined with movie producer Keith Barrish and a gaggle of celebrities including Arnold Schwarzenegger, Sylvester Stallone, Bruce Willis, and Demi Moore to start a Hollywood-themed restaurant that is on its way to becoming his most successful venture yet. In 1991, a gala star-studded affair in New York City celebrated the opening of the world's first Planet Hollywood. But even the coolest theme restaurant won't fly if the food doesn't please. Earl told Nation's Restaurant News, "People don't eat themes—no concept in the world can succeed for long unless it also delivers great food at the right price." Planet Hollywood features a menu of delicious dishes rivaling food from national chains that don't have a theme to lean on. The Pizza Bread appetizer comes highly recommended by Planet Hollywood servers. 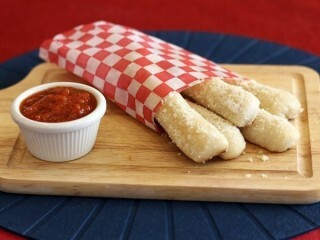 The "bread" is pizza dough, rolled thin, with a light layer of cheese, basil and tomato on top; then it's baked in a pizza oven at the restaurant. 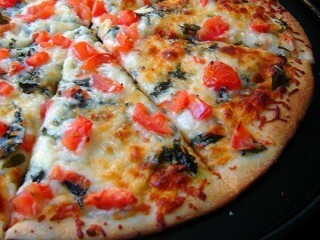 Since most of us don't have pizza ovens at home, this recipe has been designed for a conventional gas or electric oven. Get the mints ready. The secret to re-creating Buca di Beppo's garlic bread starts with using the right kind of bread and lots of fresh garlic. Bakers at each restaurant start baking bread early each day, so you'll want to find a freshly baked loaf of focaccia in your market's bakery, and cut it in half through the middle using a large serrated knife. 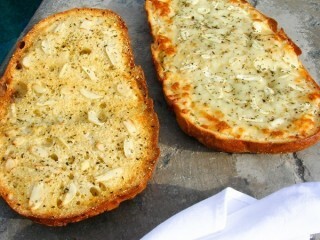 The better the foccacia, the better your garlic bread will turn out. The garlic cloves are sliced very thin using a sharp knife and a steady hand. 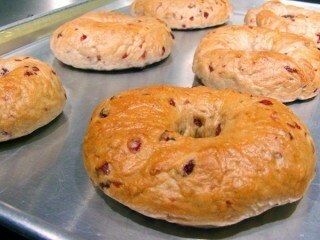 Arrange these slices over the top of the generously buttered bread. Add shredded mozzarella first if it's that version of the garlic bread you're making. Then, just make sure you each consume at least one slice when the lightly brown garlic bread comes out of the oven so that everyone's breath is equally stinky. 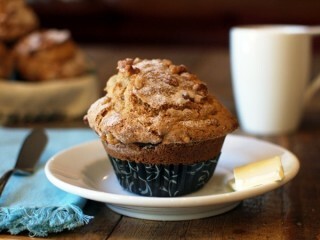 These muffins and the buttermilk spice muffins are the two top-sellers among the several muffins baked every day at the Irvine, California-based chain. 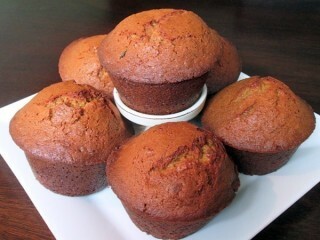 If you like the combo of carrots, raisins, and walnuts in a super-moist cake, this is the muffin for you. The real thing is made dark with the addition of caramel coloring which you can find in many supermarkets or in stores which sell cake-decorating supplies. 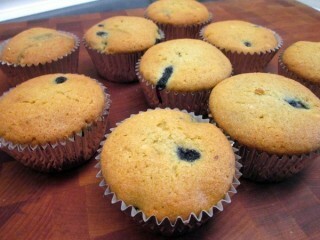 You can choose to skip this ingredient and your muffins will still come out great. They’ll just be a little lighter in color. This recipe is designed for a large muffin pan with 6 large muffin cups, but you can also use a standard-size 12 cup pan. 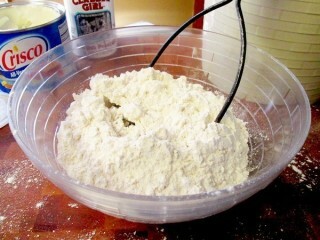 Just reduce the baking time by 5 to 10 minutes. 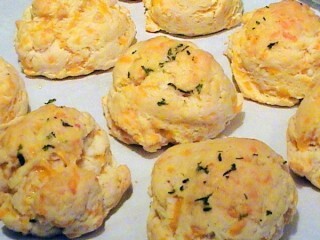 How would you like a killer biscuit recipe that has 75 percent less fat than typical biscuits, and still tastes great? And what if I told you they would still taste like those introduced to the world in 1982 by the world's largest chicken chain? 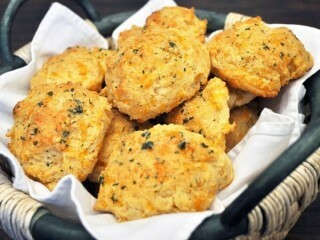 Here you go—a clone recipe for making a low-fat version of KFC's Buttermilk Biscuits. 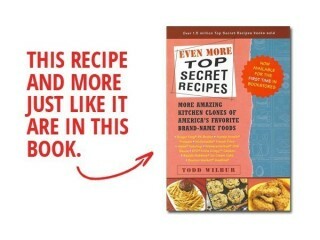 Reduced-fat Bisquick and Butter Buds Sprinkles are the secret ingredients that help make this TSR low-fat conversion of a fast food favorite. You say you like your cinnamon rolls big? Then this is the clone recipe for you. 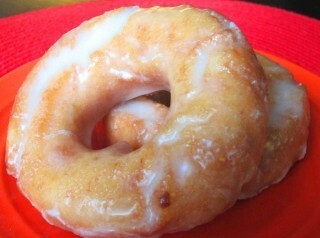 The icing here includes fat-free cream cheese to create a smooth consistency while keeping the fat out. Entenmann's was one of the first on the block to put irresistible, low-fat versions of its delicious baked goods in front of us at the supermarket. The company's specialty is its low-fat sweet cinnamon rolls that taste as good as any of the full-fat varieties produced by other popular brands. How would you like this job? Three times a day, each day, the chief bakers at Entenmann's gather in "scoring sessions," where they taste and rate products that come off the factory line. If a product they taste doesn't earn at least an 8 out of 10 rating, it never makes it onto a delivery truck. In the last ten years, Entenmann's has become known as a company that makes delicious baked fat-free products that do not taste fat-free. 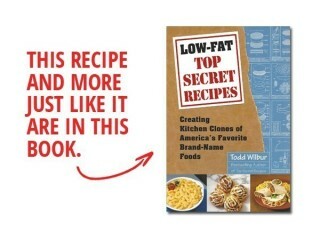 Today the company boasts around 50 products that carry the low-fat and fat-free labels. 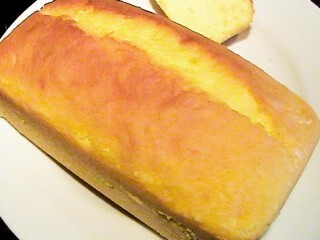 One of those products is the delicious pound cake, called Golden Loaf, cloned with this recipe. It makes an excellent dessert or snack when sliced with strawberries and low-fat whipped topping, or beneath a big scoop of light ice cream. I've also included this recipe to use with one of my favorites: the reduced-fat tiramisu. 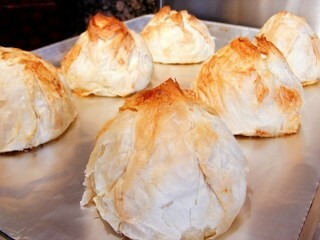 However you decide to serve this versatile dessert, you will amaze your guests when you tell them it's fat-free fare. And, yes, I realize that the reduced-fat yellow cake mix contains fat, but we have stretched out the product with cake flour so that each slice of these cakes (the recipe makes two) contains less than 1/2 gram. Cinnabon product development guys were looking for a new baked cinnamon product that customers could eat on the go while carrying bags and scurrying about. In June of 2000, they found it. 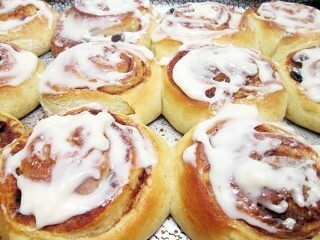 Bakers brushed Danish dough with a flavored cinnamon butter, then rolled the dough in a generous cinnamon/sugar coating. 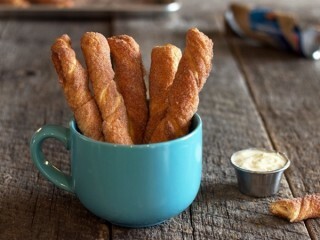 These golden brown little sticks of cinnamony delight are sold in bags of 5 or 10 from the company's famous cinnamon roll outlets, most likely found in a mall or airport near you. 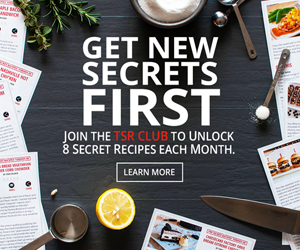 Now you can create your own version of the tasty pastries at home, and you won't even have to make the dough from scratch. 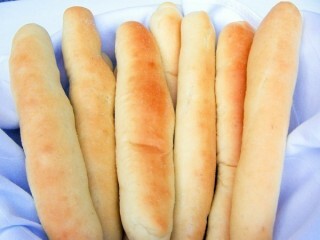 Just grab yourself a tube of Pillsbury crescents and all you have to do is roll up the dough and coat it. Update 3/21/17: These will puff up quite a bit when they bake, so be sure to stretch them long and thin when twisting. 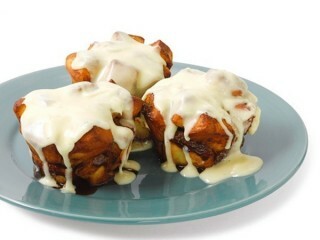 For a great cream cheese icing use the recipe here in our Cinnabon Cinnamon Rolls hack. 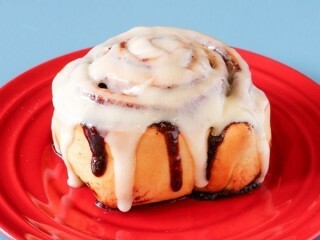 How sinfully delicious are these cinnamon rolls? 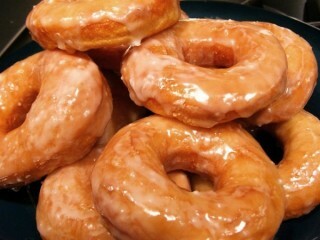 Their intoxicating aroma wafts through shopping malls and airports all over America, and at one time or another you've probably been a victim of that irresistible and gooey, doughy spiral of delight. 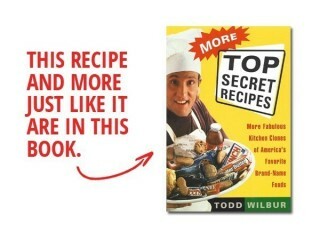 But what if you could still get that marvelous Cinnabon taste with better than an 80 percent reduction in fat? Not possible, you say? 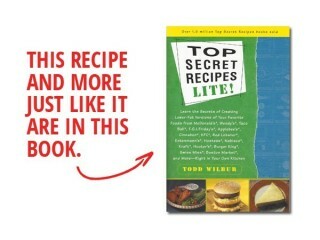 Get out the rolling pin and prepare for an amazing reduced-fat conversion of American's favorite mall food. As far as scones go, the maple oat nut scone at Starbucks is a superstar. At first I thought that we could use real maple syrup or even the maple-flavored syrups that are more commonly used on pancakes today (they are actually corn syrup-based and artificially-flavored). 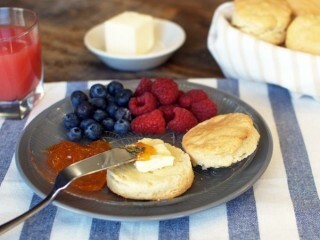 But I found that these syrups add too much moisture to the dough, creating something more like cake batter than the type of dough we want for a dense, chewy scone. 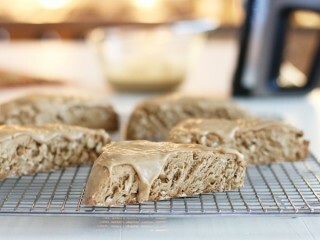 I found that the caramel-colored imitation maple flavoring stocked near the vanilla extract in your supermarket gives this scone—and the icing—the strong maple taste and dark caramel color that perfectly matches the flavor and appearance of the real thing.